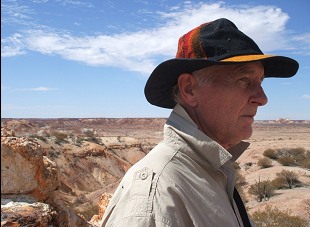 Barry’s interest in the landscape and painting stems from his many years working as a geologist around Australia plus numerous trekking, cross-country skiing and camping adventures in the outback and overseas. 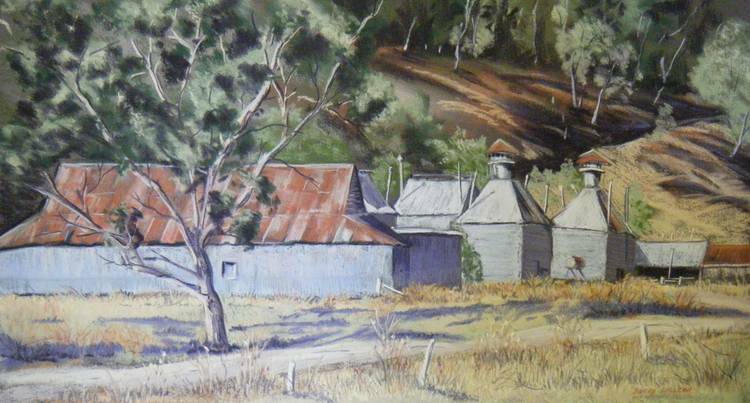 He spent much of his spare time around work at his easel, both in the field and in his home studio in Wandiligong, Vic. 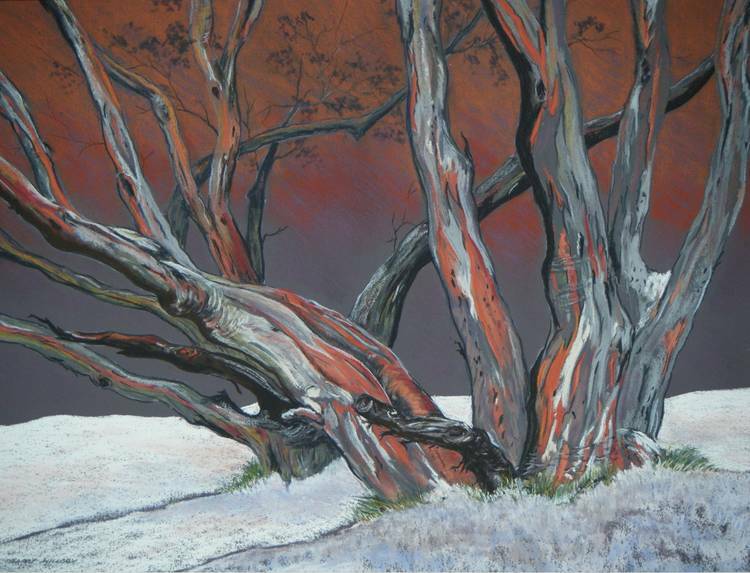 He firstly developed as a watercolourist, but is equally successful with his powerfully executed pastels for which he is well known. 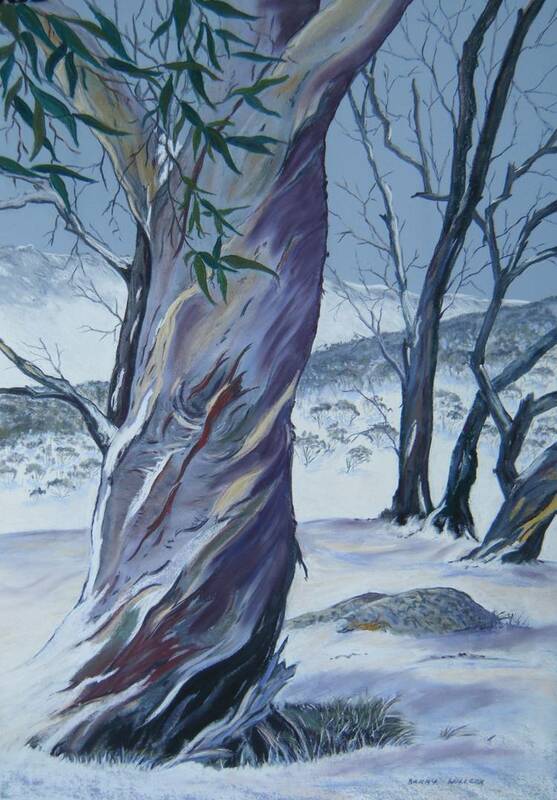 He has won numerous awards in art exhibitions in the Snowy Mountains area, Canberra and outback Queensland. 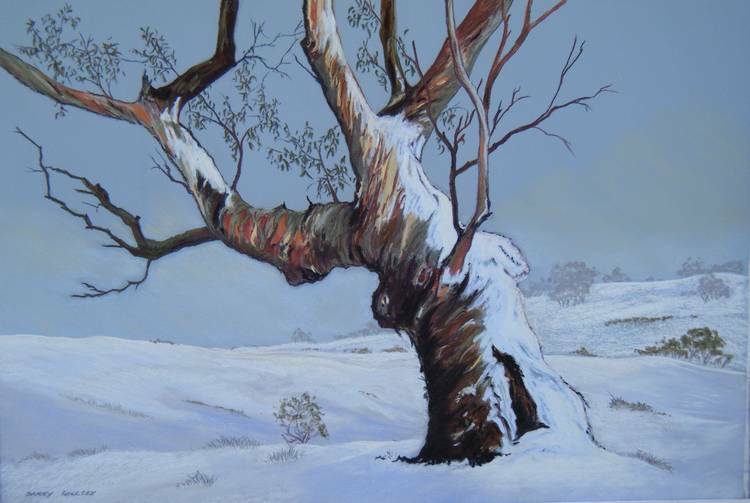 He has exhibited at Kunama Galleries in East Jindabyne, the Raglan and Little Hain Galleries in Cooma, the Bright Art Gallery and many group exhibitions.